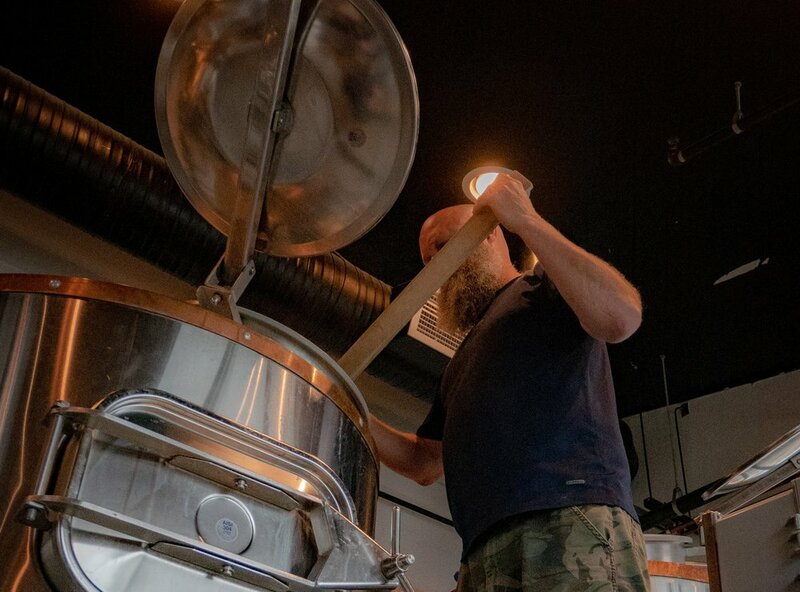 Co-owners Paul Tinney and Matt Thrasher were home-brewing buddies long before Rockwell opened its doors in March 2017. Inspired by the beers they were making and the budding craft brewery scene in Frederick, Rockwell Brewery was born. The name is an ode to Tinney’s background as a designer of acoustic guitars and creating a theme of blending artisan work in craft beer and music. Head Brewer, Scott McKernon, started brewing at home back in the early 90s out of necessity due to a lack of good beer available. With a background in Chemistry, a love of cooking, and inspiration from the growing availability of new ingredients, Scott has filled our taps with a wide variety of beer styles and flavor profiles. There is something on the “beer wall” that will please everyone, including but not limited to stouts, porters, reds, IPAs, blondes and the occasional barrel-aged. Rounding out the team is Director of Operations, Casey Trimboli. With a love of consuming craft beer, keeping everything/everyone organized, a new-found chalk talent, and a slight social media obsession, she helps to keep the tasting room fun and welcoming. Gluten Free Ale. Very Small Batch. Gluten-Free IPA with a great malt balance. Coffee and chocolate notes, smooth and easy drinking. Crisp, light with just the right amount of Rye bite. Brewed with Yakima Gold, Mosaic, Citra and Amarillo hops, this Double New England IPA is hazy, juicy and delicious. Slightly sour, slightly salty, and slightly sweet. Apricot Gose will have you dreaming of warmer weather! A: Yes! Bring us all the dogs. Pups are welcome in our beer garden, please just ensure they are leashed and well behaved. As a production site, dogs are not permitted inside. A: Of course! Feel free to bring your little ones, but be sure to clean up after them. We have some games, but feel free to bring things to entertain them. Per county law, children are not permitted to sit at the bar and can not stay in the tasting room after 9pm. Q: What size are your pours? A: Most all of our full pint beers are 16oz pours - NOT 12oz or smaller. We do make some higher ABV beers that we serve in our 10oz Belgian Snifter. Our tasters are 5oz - NOT 3oz. Q: Do you offer tours/tastings? A: We are a small operation so at this time we offer informal tours on an ad hoc basis. We do offer tastings, four 5oz tasters for $9 or eight 5oz tasters for $17. Q: Can we bring food? A: Yep! Feel free to bring food in with you, order in delivery, or order something off of our small pub menu with neighboring Family Meal. Q: My friend/brother/wife doesn’t drink beer. Do you have any ciders or wine? A: Nope, BUT we DO offer Beer Cocktails that are a fantastic alternative (see our Beer Menu page). We are craft brewery and serve only the beer we brew ourselves. 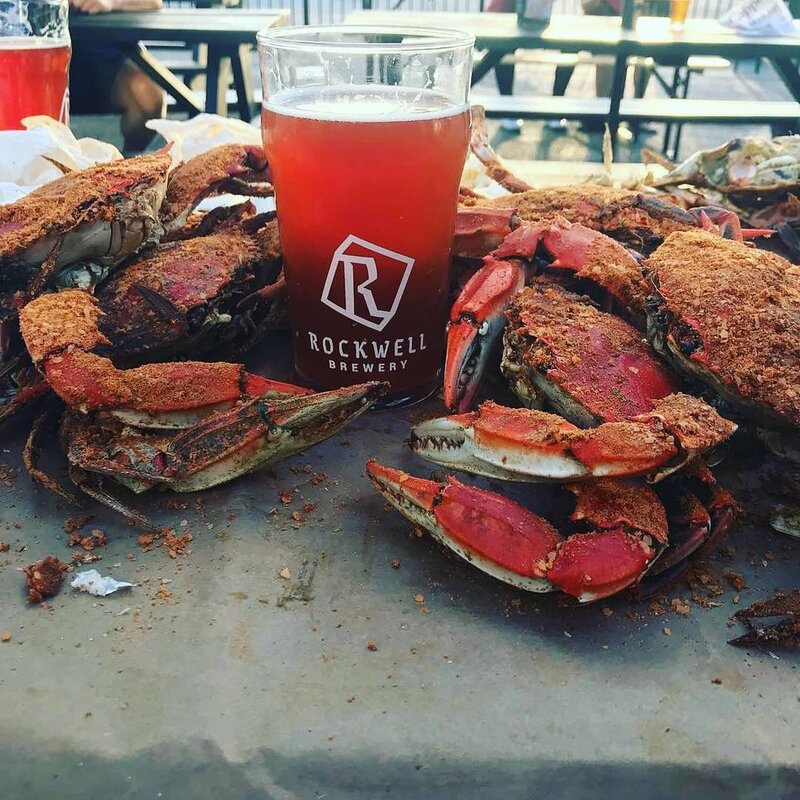 Maryland state law prohibits you from bringing any outside alcohol into our brewery. We also have sodas and water available. Q: Do you have any beer to go? A: Sure do. You can either buy and fill one of our 64oz growlers or we are happy to fill another breweries CLEAN growler. We also fill 32oz crowlers to order. Q: Can I host my holiday party/bachelor(ette)/birthday party/fundraiser/etc. at your brewery? A: Yes! We would love to have you. Please send us an email or fill out our Contact Us form with the details of your event and we will send over more information. Q: Do you distribute your beer or can I buy a keg from you? A: If you are a local restaurant hoping to get us on tap, shoot us an email. Maryland state law prohibits us from selling kegs to individuals who do not possess a liquor license. Have a question? Want to host an event here? Have some feedback for us? Feel free to fill out the form and we will get back to you ASAP! Otherwise shoot us an email or give us a call (301) 732-4880!